Superconducting spintronics has emerged in the last decade as a promising field that seeks to open a new dimension for nanoelectronics by utilizing the internal spin structure of the superconducting Cooper pair as a new degree of freedom. Currently, the discipline finds itself at the crossroads for developing first-generation devices. This workshop aims to bring together specialists in superconducting nanostructures, magnetic materials, and spintronics to provide informal exchange of ideas, necessary for development of this new direction. Participation to the workshop is free. 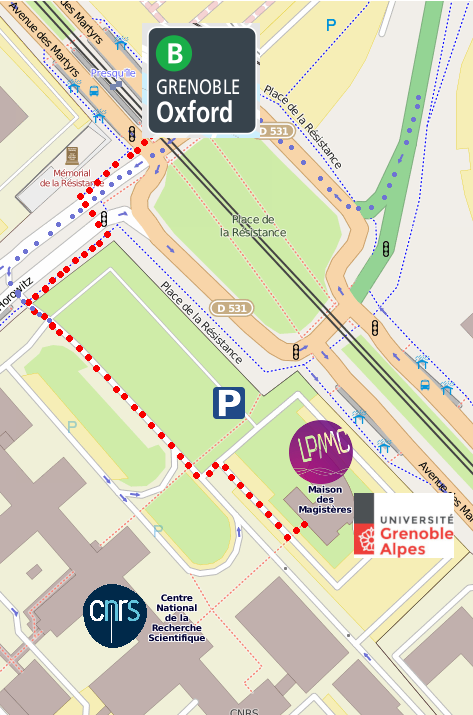 However, participants from outside the CNRS campus have to register before the 12th of October by sending an email to Claudine Rabatel. "Spin-dependent thermoelectricity in the quasiclassical theory of ferromagnet-superconductor heterostructures"
"Long range coherent magnetic bound states in superconductors"
"Experiments with ferromagnetic Josephson φ junctions"
"Spin Hall Effect and skew scattering in co-operatively ordered magnetic systems"
"Multiterminal Josephson junctions as topological materials"
"Spin-orbit interaction and singularities in the Andreev spectrum of a multi-terminal superconducting junction"